Excellence in keeping on time appointments! The staff are all very friendly, my cleaning went well and I was on my way within an hour. Always a great experience! Nicole O. 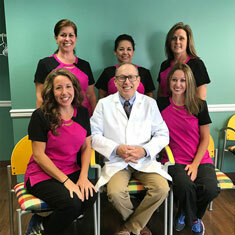 Have had great service with Dr. Sternberg and his staff. They are all very personable and knowledgable about what they do and very professional. Barbara R.